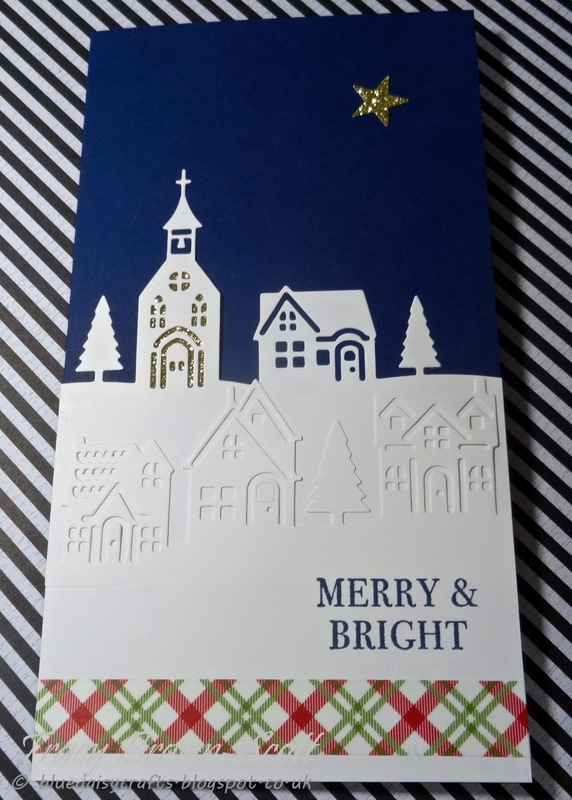 ...using Stampin' Up! Hometown Greetings Edgelits dies. This time a DL card! Definitely not a card size I use very often! This is a lovely die set to use. I think the effect of layering up the houses really works, and it's so easy.